Here’s the page to help you find some inspiration in and around Stoke-on-Trent! 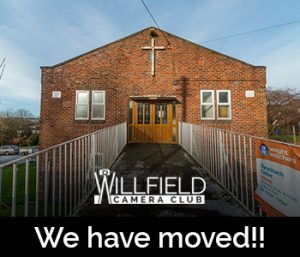 If there are other good places in the area that you think should be added to the list, please email: chairman@willfieldcameraclub.co.uk with your suggestions – thank you! Free entry. 106 from Hanley goes past for bus users, just off the main road. Click here for more information. These old manmade caves that have been used for raves, have lots of graffitt and some interesting light. A tripod for slow shutter speeds or a flash would be useful. It's near Tittensor: Click here for a map. Here's a blog that someone has previously written about it with really good directions, click here. This is a short drive from Stoke-on-Trent (we don't know about buses!). It's at Great Gate, near Alton and it's FREE to get in. Open 10 am til 5 pm, seven days a week. It is a ruin, all outdoors, so not good if it is raining! Also there's a lovely small old church next to it, it's got a brilliant old churchyard. Here's a link on English Heritage. Click here for directions. They have a Victorian terrace garden with ornamental fountains, and 'pulhamite' rockery - a Victorian 'must have' feature. Plus a lake, fountain and rockery cascade. Click here for more information. It has lots of friendly squirrels and a small waterfall, what more could you want?!! Click here for more information. You do pay to get in, but worth it. Lots of monkeys of all ages wandering around freely in the park, so there are no fences between you and them. Click here for more information. It has woods, a canal, steam railway and pub (The Black Lion) - what more could you want?! Oh yes, a nature reserve. Click here for information on the lake and here for the railway. Apparently if you park in the car park by the bridge in Rudyard it's free. Close to Leek, on the edge of the Peak District National Park. Click here for more information. This park has woods, pools, small waterfalls and a bird hide. Click here for more information. Lovely old wobbly looking tudor building. It is National Trust and you do have to pay to get in, but worth it. In some rooms, the window are latticed and small, so wide apertures, high ISO, etc is needed! Click here for more information. Lovely 17th Timber framed old farm house, fairly cheap to visit, but do check opening times before you go. There is also a nature reserve next to it. Click here for more information. Anyone who has lived in or near Stoke-on-Trent has been to Mow Cop Castle, surely?! It has a free car park, great views (you can see Wales on a fine day) and Jodrell Bank. Just down the road there is the Old Man of Mow which is a giant rock that looks a bit like a head if you have a lot of imagination. Click here for directions. Old house and gardens in Cheshire. If you go at the right time of year, there are loads of snowdrops or bluebells. Click here for more information. This National Trust building has a pretty awesome Victorian Garden with inspiration from all over the world, including Egpyt, China and Italy. Click here for more information. Colourful, gothic style church by Pugin in Cheadle. Click here for more information. Lud's Church is an immense natural cleft in the rock on the hillside above Gradbach, in a forest area known as the Black Forest. Click here for more information. Great scenery near Leek. lots of good views, can be very cold, windy and desolate too. Click here for more information. Very much like Park Hall (see below) but with the addition of a Narrow gauge railway museum of mining and mine tours. Click here for more information. Near to Tesco in Crewe with an interesting collection of railway artifacts and other things built in Crewe. Interesting if you like trains and it is possible to get inside quite a few of the trains. There is a view point over the lines near Crewe Station and also you can get into an old signal box. Click here for more information. Entrance off A520 in Weston Coyney. Good car park, although it has a dubious reputation after 9pm. Lake, trees, wildlife. Click here for more information. Stafford has some brilliant free (or almost free) places that are really cool for photography. This church is on the high street and has really old Norman carvings in it. You don't have to pay to get in, but you can leave a donation. It's often open on Saturdays, sometimes with a volunteer who is happy to answer questions. Click here for more information. Within a stone's throw from the church is Ancient High House, lovely old Tudor building. This is also free to get in, but donations welcome. It's a really crooked old building. The top floor has a war exhibition and the middle floor is a display of Tudor stuff. Click here for more information. Also there's the Historic Old Courtroom. This is free and in the back of the Shire Hall Gallery. You can walk around areas of the courthouse and it has lifesize models of the court people. You'd not spend a lot of time there, but it is good for a few photos. Click here for more information. It's pretty small, but cheap and has some good views. Click here for more information.